Digital Vantage Point has met the high standards put forth by Microsoft for partner-developed software. We are proud of the hard work of the Digital Vantage Point team and happy that our customers have achieved success with Nav-to-Net™. This accreditation helps customers recognize our e-Commerce solution for its high quality and commitment to developing a leading Microsoft Dynamics NAV solution. Digital Vantage Point, provider of integrated e-Commerce solutions for NAV has been named to the 2015 Microsoft Dynamics President’s Club. This achievement is a direct result of Digital Vantage Point’s outstanding dedication to customer satisfaction through the delivery of innovative business solutions. The Microsoft Dynamics President’s Club honours high-performing Microsoft Dynamics partners with commitments to customers that are reflected in their business success and growth. 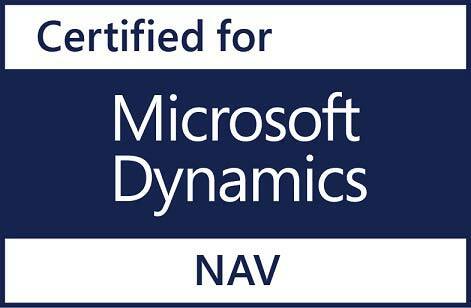 This prestigious group represents the top 5 percent of Microsoft Dynamics partners worldwide. Membership is granted based on their continual, committed efforts aimed at offering solutions that meet the needs of their customers. For more information, read our press release. Selling need not be complicated. Our new product configurator helps your customers make informed decisions. Show your products and services in a new and engaging way while managing everything within NAV. We first debuted it at Convergence in Atlanta this year to positive feedback and lots of excitement from e-Commerce retailers. Explore Configurator here. We've also written some blog posts outlining the product and benefits and will give you some inspiration about how you can use it to your advantage.